YouTube sensation Todrick Hall and Love Island presenter Caroline Flack star in Chicago in the West End! A perfect night in the West End starts with your automatic table reservation at 17:30 at L´Escargot, conveniently located within walking distance of the Phoenix Theatre where you will go on to enjoy critically acclaimed musical Chicago. With an all-star cast including RuPaul's Drag Race star and YouTube sensation Todrick Hall as Billy Flynn alongside Love Island's Caroline Flack as Roxie Hart.and Mazz Murray playing Mama Morton, Chicago’s newest return to the West End is not to be missed! Roxy Hart and Velma Kelly are two of the newest “Merry Murderesses of Cook County Jail” and they are both fighting to keep their space in the spotlight. 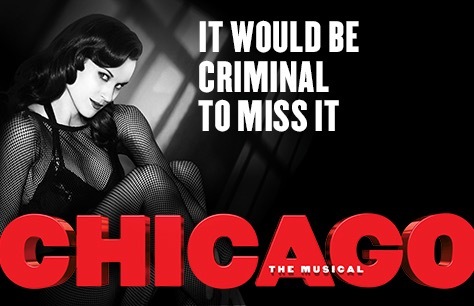 With hits like All That Jazz, Razzle Dazzle and Cell Block Tango, Chicago is sure to have you dancing in your seats. Start your evening with a lovely French meal at L’Escargot, and end the evening with all the glitz and gams of critically acclaimed musical Chicago! Dinner & Show tickets for Chicago are available now, with our Interactive Seating Plan and Automatic table reservations booking the best seats at the best prices has never been easier! Table automatically reserved for 17:30. The performance of any particular actor cannot be guaranteed. Great food at a really nice restaurant, great show better in the second half.